This one day workshop is a wonderful introduction into some foundation techniques of jewellery making. Guided by your tutor Alison, you will learn how to make your own sterling silver linked chain - in either a bracelet or necklace length. 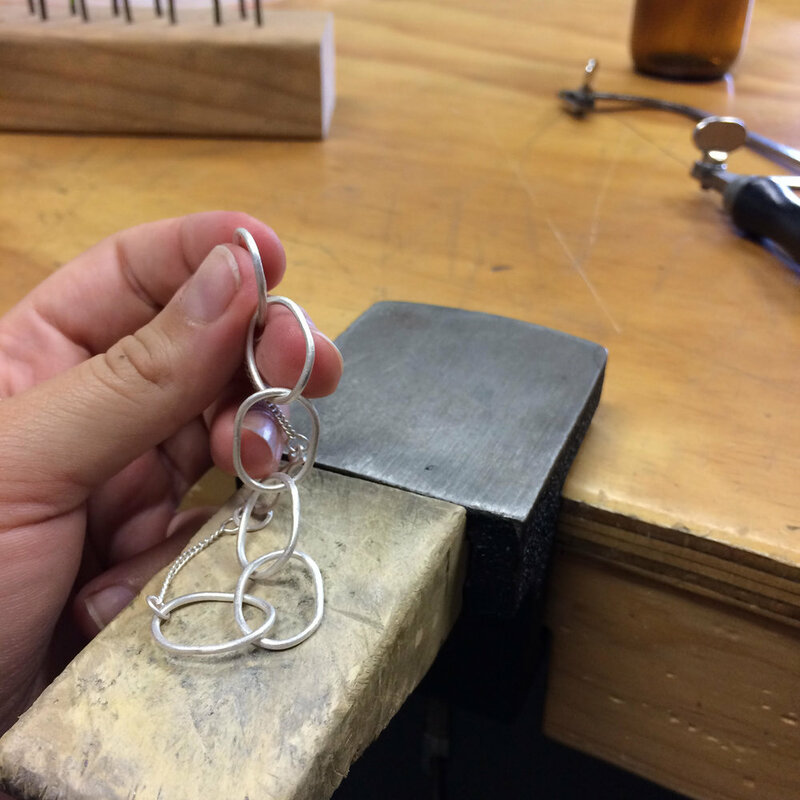 You will work through the design process, deciding on the shape of each link and how that will effect the overall design of your piece. Then you will learn each of the steps required to hand craft your own chain. The course will cover a range of skills including; design, saw piercing, filing, soldering and finishing techniques. The workshop is restricted to just 4 students to allow plenty of one to one tuition. We're always happy to help. Check out our FAQ's or send us an email.